Over the last couple of years, I’ve received numerous requests for a post about INFJ and INTJ relationships. This pairing is extremely rare, simply because these two types combined only compose 3.6% of the US population! 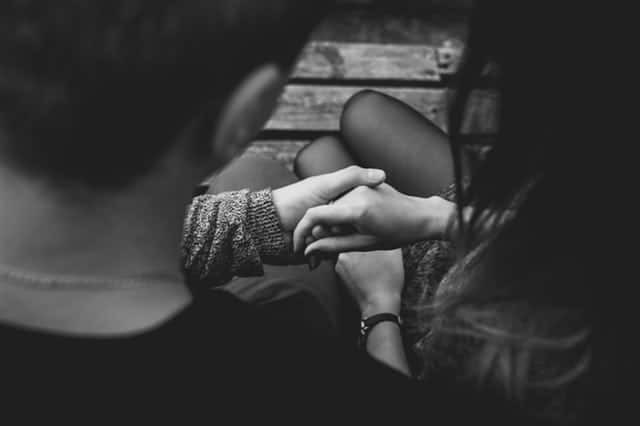 If they are lucky enough to meet each other, they tend to have an instant spark because of their shared dominant function: Introverted Intuition. In some ways, these two are kindred spirits. They observe things in much the same way and enjoy similar topics of conversation. In other ways their differences can create tension; the INFJ prefers feeling and the INTJ prefers thinking. This article will explore some of the amazing strengths of this relationship, and some of the pitfalls that are common in this relationship. To start off, let’s take a look at what INFJs and INTJs have in common. Both INFJs and INTJs have dominant Introverted Intuition. This means that they both focus on intangible connections, abstract relationships, and connections between the unconscious and the environment. They are both seekers, exploring future implications and possibilities. Together they search for grand patterns, themes, and the overall meaning of every situation they encounter. They are both drawn to complexity and are on a quest to understand the “dance of the universe”. Long, intellectual discussions will highlight their relationship, and many a night will probably be spent reading books and discussing theories together. INFJs and INTJs are both introverts. They both energize themselves by drawing inwards and exploring their inner thoughts and ideas. Usually there’s not a great deal of pressure from either partner for the other to “extrovert” too much. At the same time, INFJs tend to be more relational than INTJs, and they are also much more open with their feelings. This can create some difficulty as the INFJ seeks transparency from a partner, and the INTJ tends to be more on the private side. INFJs and INTJs are both judging types. In their outer world they both prefer a certain amount of structure. They like having a plan for the day, knowing what to expect, and having closure on major decisions. Because both INTJs and INFJs have dominant perceiving functions, however, they don’t usually fit the typical “judger” stereotype. If both types are immersed in a theory or idea for the future they can completely ignore their organized plan and get lost in a bubble of theorizing and chasing down ideas and revelations. INFJs and INTJs both have inferior Extraverted Sensing (Se). This means that both will get stressed by similar things and therefore be understanding and accommodating to each other. Neither will like a lot of chaos and noise, both will focus more on the big-picture than details, and both will occasionally have moments of impulsive, possibly thrill-seeking behavior. After a week alone mulling over theories, they both may cast aside their books and go skydiving or rock climbing. They both will appreciate beautiful surroundings and the “finer things” in life. Funnily enough, this can confuse them both because intuition is always trying to look beyond the concrete, yet inferior sensing wants to indulge in the concrete. They are both independent. Both INTJs and INFJs are extremely independent people. They don’t usually chase after relationships, and they both tend to be happier in the single life than many other types. They both are usually open to the other exploring their own interests, and they both like time to themselves and a certain amount of privacy. This relationship can be very invigorating to both partners because they enjoy meeting together over the same subjects, but are happy to quietly pursue their own independent interests as well, without pressure from the other to do everything together. They are both skeptics. Both types aren’t afraid to bypass tradition, regulation, or generations to question practices and methods that don’t make sense to them. They both have a tendency to play devil’s advocate and question what is commonly accepted. They almost never take anything at face-value. This can result in them both debating each other sometimes. They are both strategic and goal-oriented. Both types have a knack for envisioning a future goal and then working their way backward to figure out how to get there. According to Building Blocks of Personality Type, Introverted Intuition (their leading process) is “The vision that guides strategic planning”. No relationship is without its weaknesses, so now let’s discuss some of the common pitfalls that INFJs and INTJs encounter. INFJs and INTJs Have Different Ways of Making Decisions. INFJs decide using a process called Extraverted Feeling (Fe). INTJs decide using a process called Extraverted Thinking (Te). When faced with a decision, INFJs will first consider what will maintain harmony, how people will be impacted, and what aligns with their values or ethics. INTJs will first consider what is objective and logical, what the pros and cons are, and what has the best cause and effect. Feeling is inherently personal and thinking is inherently impersonal. Because of this divide in how both types approach decisions, there can be conflict when they both need to reach an agreement. The INFJ can feel that the INTJ is being uncaring or undiplomatic. The INTJ can think that the INFJ is taking things too personally and needs to focus on facts rather than worry about values and emotional impacts. They both also tend to be very stubborn about their views on things, so when they need to buckle down and come to agreement they can both dig in their heels for a long time. Usually how this ends (in my observation) is that INFJs eventually try to find a compromise. Their desire for harmony eventually leads them to look for a win-win situation. Over time, however, this can lead to resentment on the part of the INFJ. Both parties have a gift for seeing things from multiple perspectives. If they can use this gift to their advantage in decisions then less of these stand-offs will occur and the relationship will go more smoothly. INFJs and INTJs Express Their Emotions Differently. INFJs in long-standing relationships want to be able to express their feelings on a regular basis. Because they have extraverted feeling rather than introverted feeling, they need to “extravert” their emotions and values in some way to understand them. They want to be transparent with their partner about how they feel. INTJs, in contrast, use a process called introverted feeling (Fi). Tertiary Fi internalizes emotions and feelings and, as a result, INTJs are very private about these things. They don’t feel the compulsion to discuss their feelings, and many times they think their own emotions are irrelevant. This can cause the INFJ to feel like a “blabbermouth” and become self-conscious about sharing their feelings. They can also feel like they have no place to organize their feelings and sort them out externally. They may feel that their partner is uncaring or thoughtless or a bad listener. INTJs also can feel that INFJs are too sensitive. They can get tired of being asked to share their feelings. Over time they can see the INFJ as intrusive or pushy in their efforts to draw out their emotions. It’s important for both partners to respect each other’s way of handling emotions. INFJs can respect the INTJs need for emotional privacy and INTJs can respect the INFJs need to express their feelings and “talk them out”. Think of it like this: INTJs extravert their impersonal thoughts. They put them down in diagrams, charts, and in writing. They tell people the logic of their decisions and as an extraverted thinker they tend to “think out loud” sometimes. Sometimes extraverted thinking takes the form of delegating, deciding, and planning according to objective, logical analysis. Sometimes it takes on the form of a “should” as what people should be doing logically or how people should organize their time. INFJs extravert their personal thoughts and values. They need to either write about them or express them in some way. They tell a trusted individual how they feel, or they analyze their choices and their impact on others. They need to direct their people-centered analysis outwards. Sometimes this takes the form of imposing a “should” on others as to how they should treat other people or how everyone should get along. If both types take the time to respect and appreciate the other’s extraverted process (thinking or feeling) then their relationship will be much more harmonious. INFJs need to understand that just because INTJs don’t show their values and feelings that doesn’t mean they don’t have them. INTJs need to understand that just because INFJs don’t direct their thinking outwardly doesn’t mean they don’t use logic (they use introverted thinking). INTJs and INFJs Both Have a Different Thinking Process. INTJs use a process called Extraverted Thinking (Te). This function focuses on the objective, external world and is concerned with organizing systems and assigning all information into an external framework. INTJs want to evaluate, decide, and complete tasks using a system of binary judgments. They want to structure and organize the external world, bring their intuitions into outer reality, and apply objective logic to guidelines, policies, and procedures. INFJs use a process called Introverted Thinking (Ti). Introverted thinking applies objective logic to an inner framework, works through logical analysis inwardly, and seeks inner precision and accuracy. Inwardly they like to analyze, solve problems, categorize ideas, and find precise words to describe something. INFJs who use Ti can be quick to spot logical inconsistencies but less quick to recognize what is logically true. While both of these processes are good, and both are technically in the thinking realm, they both tend to clash with each other a little bit. Just as INFJs can fail to see the emotions and values of the INTJ because their feeling process is introverted, INTJs can fail to see the analysis and logic of the INFJ because their thinking process is introverted. Te-users tend to see Ti-users as disorganized, inefficient, and too focused on evaluating to take action. INFJs (and all Ti-users) can see expressions of Extraverted Thinking as bossy, judgmental, or too quick to decide. Ti-users dislike binary judgments and imposed order, whereas Te-users try to narrow everything down into a true/false, right/wrong dichotomy and they do focus on ordering their outer world or delegating. What do we do about this misunderstanding? Well, first we need to actually understand where the other person is coming from. Recognize the gifts of the other individual. Healthy Extraverted Thinking is extremely efficient, productive, goal-oriented, and objective. Healthy Introverted Thinking is extremely analytical, precise, and principled in logic. Neither one is better or worse than the other. INFJs can understand that when an INTJ is processing their thoughts, they aren’t necessarily being judgmental or mean. Meanness or niceness isn’t part of the equation to them, they’re just trying to find the most efficient, correct way to do something. They can love someone tremendously and still point out errors in logic and they would be happy for someone else to point out if there is an error in their logic as well. INTJs can understand that when INFJs are processing something logically or trying to solve a problem, they will go inwards and try to solve it in a more private way. Interruptions, talking it out, or “extraverting” that process can throw them off. They also don’t desire to impose order on others and have a hard time delegating in many cases. When INTJs try to “fix” a problem that an INFJ is having, the INFJ can find it as overly intrusive and meddling in the same way that INTJs can find INFJs intrusive when they try to draw out their emotions. – Both types are goal-oriented and can help motivate each other to reach their biggest dreams. – Both are big-picture people who love exploring ideas and possibilities for the future. – Both are independent and analytical. – Both are usually very loyal and committed in their relationships. – Both are good at foreseeing future implications and planning accordingly. – Both support each other’s need for introversion. – Both support each other’s need for closure in decisions. – They can clash in decision-making because of the thinking/feeling divide. – INFJs tend to be more relational and want a more transparent relationship, and INTJs are more reserved. – Both tend to be very stubborn and single-minded and can have intense debates over disagreements. – INTJs when provoked tend to take on a superior attitude. INFJs when provoked tend to take on a morally righteous attitude. They can have power struggles and refuse to back down. – Learn about the INFJ personality type! The more you know, the easier it will be. – Be patient of the INFJs feelings. Understand that even if their feelings don’t seem logical, they are still valid. – Respect their empathy and warmth. – Ask their advice when it comes to relationships, handling other people’s feelings, or understanding their motivations. – Try to express your feelings. When you clam up it can make the INFJ think you’re mad at them or dislike them. – Don’t assume that since they don’t outwardly express their logic all the time they aren’t thinking analytically. – Learn about the INTJ personality type! The more you know, the easier it will be. – Be direct in expressing what you want and need in the relationship. Don’t expect your partner to just “get” it. – Respect your partners expertise and knowledge. If you’re unsure of their logic, question them privately, not publicly. – Ask for your partner’s opinion on projects and goals you wish to pursue. Ask for help in coming up with an efficient plan of action. – Don’t assume that since they don’t outwardly express their feelings all the time that they don’t have them. If done right it is an incredible relationship. My grandfather an INTJ and my grandmother an INFJ were together and very much in love for 60 years. I love this article! Would you ever talk about Infp/Intj relationships as well as Infp/Enfj relationships?